Zen Buddhism research papers dissect the sector of teaching by the Buddha that looks for enlightenment. Zen Buddhism holds a particular fascination with American popular culture, perhaps dating back to the first publication of Zen and the Art of Motorcycle Maintenance. Miniature Zen gardens sprout on the desk tops of corporate executives. Jon Stewart, on Comedy Central’s The Daily Show, closes his broadcast with “your moment of Zen.” It is as if Zen has become synonymous with blissful inner peace and cosmic harmony. “Western literature on Zen has tended to present Zen as a relatively homogeneous experience and teaching, a kind of seamless garment of truth”. Zen has existed in recorded history for over 1200 years, in Chinese, Japanese, Korean and Vietnamese forms, and can be found in a variety of schools. “The myth of the monolithic Zen experience, teaching, or practice has not substance”. Two of the more distinctive schools of Zen are Soto and Rinzai Zen Buddhism. They have different methods, ideals, beliefs, methods and practices. Zen is the Japanese word for meditation (ch’an in Chinese, and dhyana in Sanskrit). Put simply, “Zen is discipline in enlightenment”. Enlightenment is the central point of all schools of Buddhism. The Japanese word for enlightenment is satori. “Satori finds a meaning hitherto hidden in our daily concrete particular experiences, such as eating, drinking, or business of all kinds”. Buddhism holds that Prince Gautama (the Buddha) suffered an acute spiritual crisis at the age of twenty-nine, when he first ventured outside of the royal compound he had been raised in. He saw, for the first time, evidence of human suffering, old age, and death. He was suddenly shaken to learn that life was not the endless round of pleasure to which he had become accustomed, and sought out the answer to the universe. 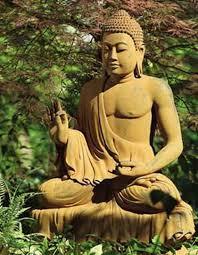 Eventually, the Buddha is said to have attained enlightenment and entry to Nirvana through meditation. Paper Masters writes custom research papers on Zen Buddhism and dissect the sector of teaching by the Buddha that looks for enlightenment.